There is no time to waste when you need to have a furnace installation or replacement completed. With a new installation, you probably need to get the job done so you can move on to other parts of the construction process. On the replacement side, you need to bring in a new unit right away so you can take the chill off of those cold Texas nights. Either way, 5 Star HVAC Contractors is the right team for the job. We have many years of experience with this kind of work, and our reputation speaks for itself. Some of the furnace installation projects we tackle take place in new construction. If you are moving into a new home, you are certainly excited about what is to come – and probably a bit overwhelmed. Don’t let this project be another thing that you have to worry about, as 5 Star will handle it with ease from start to finish. Simply bring us in to install your heater, sign off on our competitive rate, and look forward to a perfectly functioning furnace in short order. We have no interest in taking advantage of our customers by charging ridiculous rates or tacking on hidden fees right at the end. Everything about your experience with our team will be transparent right from the start. We are going to make sure you understand the costs of our services, and we’ll honestly answer any questions you may have. The reputation we have with the people of Rowlett and the surrounding area is very important, and we don’t do anything to jeopardize our good standing. To put it simply, we are an HVAC contractor you can trust. Our team will be happy to provide you with a furnace replacement if the unit on your property is no longer able to get the job done. However, before you head in for a replacement, our team will work hard to make sure your current unit is not a good candidate for repair. We would rather repair than replace, as that is going to be the more affordable option for you, the customer. Unfortunately, a repair is not always going to be possible. In some cases, the unit will simply be too far gone and it will be time to put a new one in its place. In other cases, a repair might be possible, but the cost of the parts and the work may be such that a replacement simply makes more sense. Our team will review all of the available options with you, and the final decision will be yours. As you know, purchasing a new furnace can be expensive. Despite our affordable installation rates, you will still have to make a significant investment to place a new heater in your house. If that investment is a bit more than you can handle at one time, our financing options will help you deal with the cost. 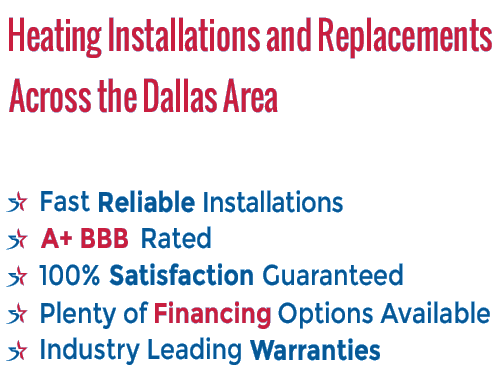 We have a few different financing options to serve as many customers as possible, so ask one of our team members to explain the various possibilities. 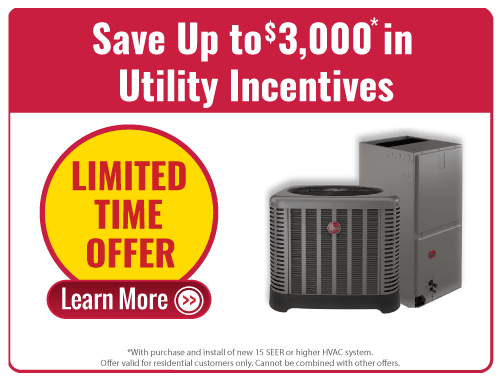 If you are looking for a reliable furnace specialist to install or replace your heater, the search can stop now that you have found 5 Star HVAC Contractors. We are the right team for the job, thanks to a variety of benefits such as upfront pricing, a 1-year satisfaction guarantee, and more. Thanks to 20 years of experience in this industry, our team is ready and able to handle any challenge. As soon as you are ready for your furnace installation or furnace replacement, give us a call to get started. Thanks for visiting!